Ohta does it all over again. A super high-level over-500HP FD. I saw it, I saw it! That FD was super fast! Looks like it'll be the "Z". Okay, let's go. I'll work all night on the settings. This engine...where should I improve on it? What do you mean, perfect? No way. It's still missing the most important part. over 300km/h...it's still got a way to go! *Rival: Akio(Reina) - Devil Z joins. Yeah, So you know the rumours, too. It's the S30, "Devil Z". Water and oil temp rising! Exhaust unstable! Any more and she'll blow! Why go all the way back to the easy ring for the FD... ? I just think the Z would have picked it. Find, then. Show me, kid. monster FR on a tightBelt line? (Well, you're in for it now! Belt line than the FD. There was only one car there. It matches an FD on the ring. Maybe even better. 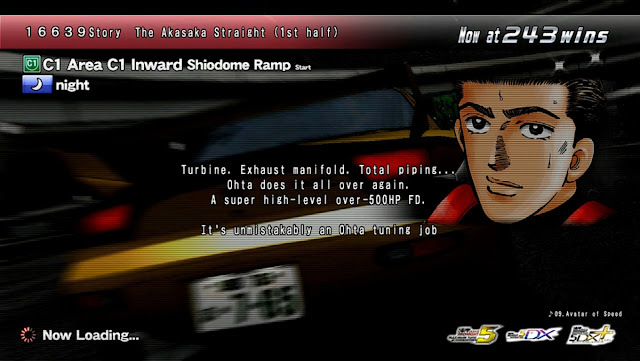 Blackbird, the king of Wangan! *Rival: Tatsuya Shima - Blackbird joins. Coincidence... We just happened to meet? Let's finish this 10-year-old business, Blackbird! 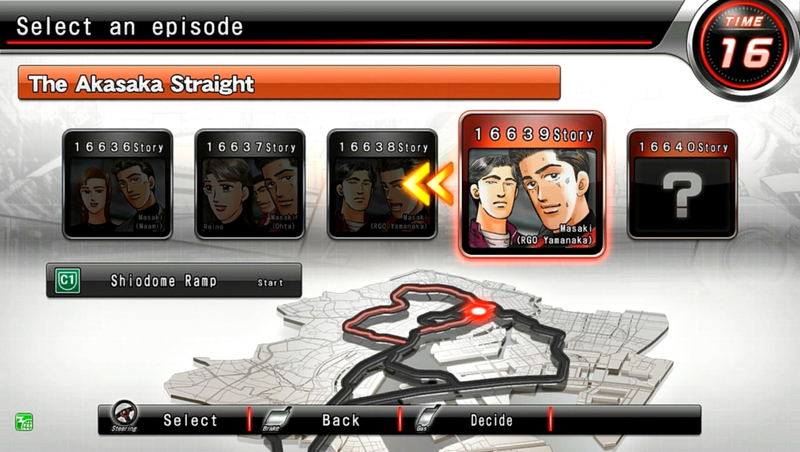 I was thinking I'd like to race RGO's Masaki at least once. gaining any ground on those 3. The Z is much smoother now. They're gonna beat us. Full boost! (I thought it was enough power until just now. No way, on this lame straightaway? *Rival: Akio(Reina) - Devil Z retires. There won't be another night like this.